156 pages | 4 B/W Illus. This book analyses media conglomerates owning multiple media holdings under centralized ownership within and across media markets. It argues that Asian capitalists utilize both a market-oriented ideology and family connections to build their media empires, thereby creating cultural conglomerates that exercise corporate censorship over media markets. 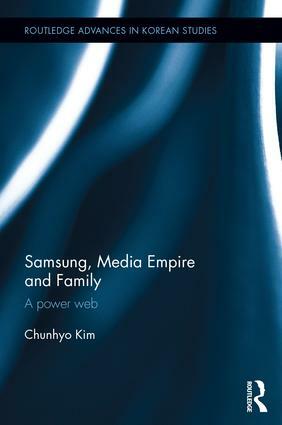 It focuses on family-controlled media conglomerates in Korea, specifically the international business giant, Samsung, and its related media companies, Cheil Jedang and JoongAng Ilbo, all of which are controlled by the single Lee family. Utilizing the theoretical approach of political economy of communication, the book examines how and why the Lee family exercise corporate censorship over Korean society. Offering an essential take on Asia’s political economy of communication in order to understand the workings of Asian media empires, this book will appeal to students and scholars of Korean Studies, Korean Business and Mass Communications. Chunhyo Kim is a lecturer in Foreign Studies at Hankuk University, Republic of Korea and a researcher in the Korean Media Union.